At 2pm, on 30th September 2013, the cabinet secretary for Land, Mrs. Charity Ngilu arrived at Kibra academy, in Kibera, to issue a communal title deed to the Nubians living in Kibra constituency. Out of the 4197.9 acres of land that Nubians have for so long demanded to be allocated to them, The cabinet secretary said that only 288 acres in Makina area would be given to the Nubians, the area would then be named Nubian Village. She went ahead to say that the remaining areas, that is Kianda, Kisumu Ndogo, Gatwekera, and Laini Saba, had so long been sold. At this point people started to murmur, But Nguli did not accept to be asked any questions about the sold land, though she was quick to declare that she was the 51st Minister of Lands who was now ready to solve the land issue in Kibera. The residents of Kibera did not take Ngilus visit positively, one, they claimed that Ngilu never informed the leaders from Kibera, two, “How could she meet with Nubians alone in the morning at 10am and by 2pm she is here to issue titles without involving other stake holders?” “We smell a mischief here” said one Kibera community leader. Kibera slum is a home to many tribes of Kenya including Nubians, who were settled here more than 100 years ago by the British Colonials in the early 1890s. They originated from a place called Nuba between the Northern Sudan and the Southern Egypt, they have all along laid claims to Kibera as their ancestral land, the government did not formally recognize them until the 2009 national census. They have faced so many challenges including acquiring of Identity card and even birth certificates, all they ask for is to be given an equal playground just like any other Kenyan. Ngilu’s reckless remarks, like other people called it, generated a lot of heat in Kibera, that she left without issuing the title deed, but promised to come back soon. The meeting ended at around 4pm, words spread so fast and after a bout one hour you could see people gathered in groups trying to analyze how parts of Kibera could have been sold and what that meant to them. The fear of eviction was real in their faces. It was very hard for them to imagine that the only home they have known for decades was no longer theirs. Several groups came up in protest to this issue: Kibera Inhabitants, Kibera Structure Owners Association, Kibera Stake holders Forum, churches, school owners including the Langata District Peace Commettee, all running to a different direction for help. And as the confusion engulfs Kibera, another group was already demonstrating towards the Ministry of Lands Office, demanding a proper explanation on the sold land. At this point Kibera Inhabitants had gone to the area member of Parliament for some clarifications. On realizing that there were many other groups lobbying against the Ngilu’s remarks, Kibera inhabitants led by Langata Constituency ODM chairperson Mr. Ochieng Jera decided to call all these groups together so that they could have a stronger force. Two days after Ngilus visit tension increased in Kibera, with people wondering what will happen to them. 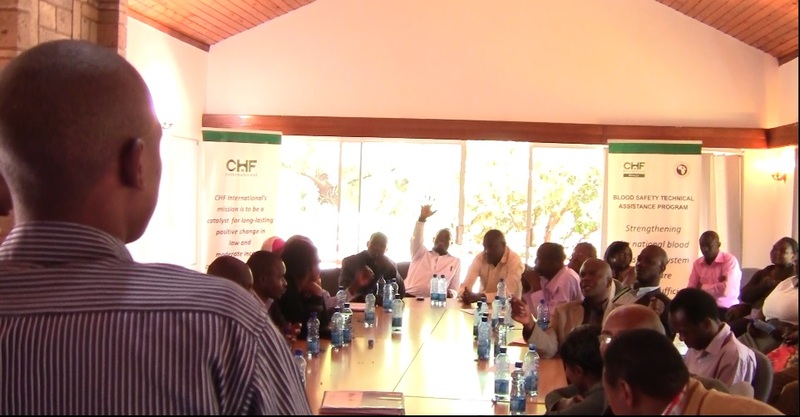 They approached CHF international to offer them a space to meet in, which was accepted, on 10th October 2013, I was in this meeting, people were so furious here, calling Ngilu all sorts of names. But there was a common understanding, almost everyone in the meeting agreed that they did not have any problem with Nubians being given title deed, that they deserved it, their main concern was the sold parts of Kibera. They wanted to know when a section of Kibera was sold, to who? Who sold it? How much it was sold and why? These were the questions people kept asking themselves. Apart from the questions above they also wanted to know what will happen to the non-Nubians living in the demarcated Makina area, will they be compensated? Will they be living at Nubians mercy? Or what? There was also a concern that Nubians living outside Makina could be at risk of being chased to go and live with their colleagues in Makina. Some people including some Nubians already had title deeds in Makina, will their titles be revoked? Some Kibera residents had started refusing to pay the rent claiming that the land had been sold according to the cabinet secretary; therefore they don’t have to pay anything, something that was already bringing conflicts in the slum. In this meeting there was only one Nubian who was there as a cohesion champion but not to represent the Nubian community, there was therefore need to have Nubians in the following meeting. People dispersed by each group with a task to find concrete information from various offices: a team was to go to the Governor of Nairobi county, a team was to go to the National Land commission, a team was set to talk to the former land minister, and another team was to see the former Prime Minister to find out if they were all aware of the sale of Kibera land. Bringing back the feedbacks during the next meeting on 16th October 2013, reports from the Nairobi Governor’s office claimed that the Governor Evans Kidero was not aware, but he offered to be given a short time to investigate on the matter. Surprisingly a team that went to see the Deputy County commissioner, said that the Deputy commissioner himself was not aware of what was happening in Kibera, he complained that a lot was already going on but no one has even tried to brief his office. He blamed the community members for taking the matter a head without consulting him, he also blame the government especially the Cabinet secretary of lands for not involving him in the process. “I have decided to stay aside and see if you people will need me in the near future” he said. Orengo the former lands Minister said he was only aware that Nubians will be given a title but he did not know of any plans to sell Kibera land. In this second meeting Nubians were invited but only two of them turned up, Mr. Ali from the Nubian youth, and also a representative at the Nubian Elders meeting. He clarified what had happened, he also told the meeting that the process to issue title deed to Nubians started long time ago, and that this was just the last stage. He went ahead to inform the meeting that in fact on Friday 18th October , 2013 the President was set to come and issue the title in Kibera. Another surprise, it’s at this point that some people alleged that the government was out to make Kibera go up in flames again if people were not careful. The leaders urged each other to remain peaceful and not to allow anyone or anything to drag them into violence by all means, we have to solve this issues amicably, “We are not ready to fight with our brothers Nubian, but the government seems to be inciting other tribes against them” said one leader. Some people alleged that the government wanted to use Kibera because of its past history to trigger violence, so the President could have an excuse not to attend the ICC trials, for them to claim that Kenya is ungovernable. That they could only be playing politics. Having said all these, the meeting was adjourned with an agreement that the chairman to call up for an urgent meeting soon to have all the facts right before a big protest could be organized, time was running out anyway, the President was set to come that week. 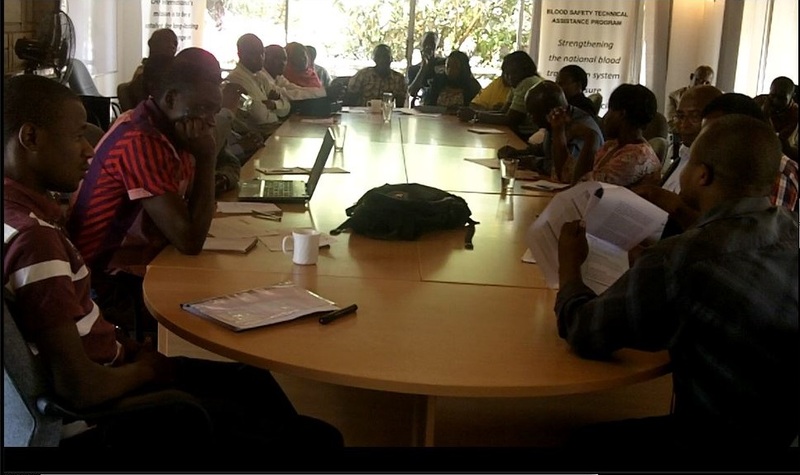 The third meeting was then on Thursday 24th October 2013, chaired by Mr. Daniel Orogo of Langata Youths Network. There was a good news, first was that Nubians were well represented, around seven Nubians were in the room. This opportunity was used to let the Nubians understand that the 288 acres allocated to them was too small since they were still growing, that they should see that they were being short changed. Another leader told them that for a fact Kibera is part of the Nairobi city, and no community can be given communal title in the city. It was not logical, that they should think twice. This did not go well with Kibera Nubian Community Land Trust secretary Mrs. Husna Hassan, she instead urged the rest of the tribes to support Nubians to get this small piece first, since they had struggled so hard for it, “it has taken us a lot of lobbying a lot of activism, a lot of time to be able to get even this small pieace” she said, “I know we could be short changed but something is better than nothing” she added, she then urged the rest to support the Nubians and they will support the other tribes to reclaim the perceived sold parts of Kibera. During the week before this third meeting another team organized a small demonstration to the Ministry of Lands, asking the cabinet secretary Mrs. Ngilu to come out clear and explain how the land was sold. The Nairobi Governor Mr. Kidero had by this time dismissed the allocation as irregular. So the president’s coming to Kibera was put on halt by the National Land Commission arguing that the Cabinet secretary did not consult them, and that the issue of land is so sensitive to be rushed with, many Kibera residents received this news happily, but addressing the media KTN in Kibera, the Kibra Nubian Community Land Trust Secretary Mrs. Husna Hassan said that they feel there is lack of genuinely, “we have followed all the processes, its wrong for the Lands Commission to come out now and say that they were not consulted” she said. The Rift Valley Railway is already demarcating areas to evict people living or doing businesses along the railway line, the eviction has been talked about for so long, but this time round its real. The NEMA, environmental people have also given a notice to evict those living by the river side that passes across Kibera. Slum upgrading process is also also on, some people are for it some people are against it. Will the people of Kibera survive all these? Recently at Kamkunji grounds Sunday meeting, leaders warned residents from buying any property along the railway line because some individuals were taking advantage of those who don’t know about the upcoming eviction to sell off their structures at a cheap cost.